Changes in relief in montane areas, with increasing altitude, provide different biotic and abiotic conditions, acting on the species of arbuscular mycorrhizal fungi (AMF). The objective of this work was to determine the influence of altitude, edaphic factors, and vegetation on the AMF species in a mountainous area. The list of AMF species was obtained from morphological identification of the spores, with 72 species recovered from field samples and trap cultures. Lower levels of Shannon’s diversity occurred only at lower altitude; however, there was no difference in AMF richness. The structure of the AMF assembly between the two highest altitudes was similar and differed in relation to the lower altitude. There was variation in the distribution of AMF species, which was related to soil texture and chemical factors along the altitude gradient. 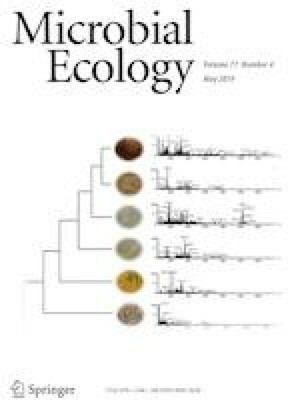 Some species, genera, and families were indicative of a certain altitude, showing the preference of fungi for certain environmental conditions, which may aid in decisions to conserve montane ecosystems. The Fundação de Amparo à Ciência e Tecnologia de Pernambuco (FACEPE) provided a scholarship to L.C. Vieira and I.E.C. Escobar and the Conselho Nacional de Desenvolvimento Científico e Tecnológico (CNPq) provided scholarships to M.A.C. de Melo, a fellowship and research grant (PQ Proc. 312186/2016-9 and Universal Proc. 458622/2014-1) to G.A. da Silva and a ‘Visiting Professor’ fellowship to Fritz Oehl.